It has been announced this week that eBay has acquired the virtual fitting room service PhiSix in preparation for eBay to include 3D virtual fitting rooms on its website, marketplace, mobile apps, and also via third-party retailers. PhiSix specialises in 3D visualisation and simulation technologies for clothing. Check out the video after the jump to learn more. PhiSix was created back in 2012 by former Intel research scientist Jonathan Su, who also received a PhD in computer science from Stanford University. 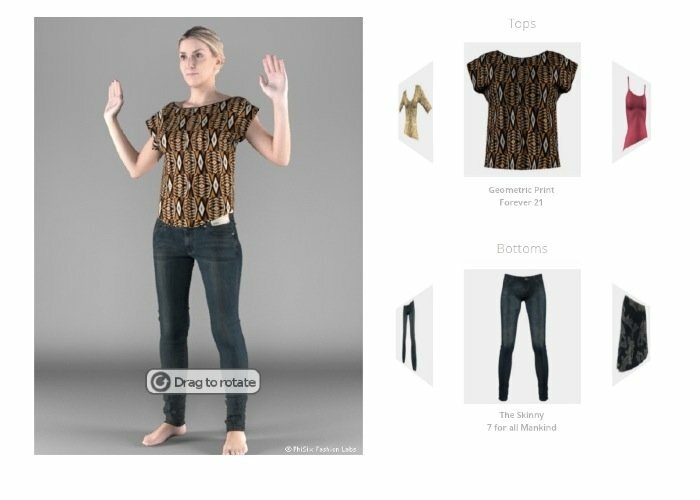 The PhiSix technology has been developed to create 3D models of clothing items using just photographs and pattern files, it then creates a 3D model of the clothing and simulate this behaviour on a virtual mannequin. “PhiSix’s innovative technology can help solve one of the common problems online shoppers face – fit and look. With a virtual fitting room enabled by PhiSix technology, shoppers can determine fit with physically accurate simulations of the garments. The technology is able to recommend a size for the user’s body based on basic measurement inputs. No details regards the terms and conditions of the sale have been revealed by either party.